Pennsylvania Governor Tom Wolf scored a double win for his state by signing into law a bill (HB- 2107), which combats the anti-Israel Boycott, Divestment and Sanctions (BDS) campaign on November 4, 2016. Its most significant impact will be on prohibiting any company that seeks to do business with Pennsylvania from engaging in economic warfare with Israel, or any other trading partner with favored nation status. It also defends Pennsylvania’s economic interests against attempts to weaken its ability to conduct trade with Israel. This bipartisan bill, introduced in the House by Rep. Matthew Baker (R) with 26 co-sponsors from both parties, passed by a vote of 181-9. The goal of BDS is the demonization and isolation of Israel. BDS proponents often present their case in terms of justice; however, this masks the real agenda of seeking to destroy Israel rather than improve the lives of Palestinians. The movement falls clearly under the State Department’s definition of anti-Semitism as it demonizes, delegitimizes and holds Israel to a double standard, the only Jewish state and the only democracy in the Middle East. This law asserts that Pennsylvania will not be a partner to discrimination and anti-Semitism. The law also protects Pennsylvania’s economic interests. PA enjoys over $200 million in annual economic trade with Israeli entities, in addition to business done with many other partners who have commercial interests in Israel. This trade encompasses many of the state’s most important economic sectors, such as defense, technology research and development, and health sciences. Passage of HB-2107 sends a clear message to the Israeli business community that it is welcome here. The bill does not violate any First Amendment rights. It exercises the state’s own right to choose the companies with which it will contract. It does not penalize or infringe on anyone’s private speech or conduct. Companies are free to make whatever statements they wish, even stupid or hostile things about Israel; individuals are not impacted at all. The bill simply clarifies that if an entity chooses to engage in Boycott, Divestment and Sanctions (BDS), then the state can exercise its right to not support that entity. Exercising such discretion with taxpayer funds is an important part of reinforcing economic interests, public policy and the basic ethical standards of government. The U.S. government has also emphatically rejected boycotts based on national origin and interference with foreign trade policy in general. Congress has legislated against boycotts of Israel for four decades, and federal courts have ruled that economic boycotts are not protected free speech. Pennsylvania joins twelve states that have passed such legislation and are fighting back against bigotry. “The French Jews are the canary in the coal mine,” Simone Rodan-Benzaquen told me. Ms. Benzaquen, the director of the American Jewish Committee in Europe, related that anti-Semitism in Western Europe is a very serious problem. Europe is the laboratory for how to contend with it in 2016. If the fight against anti-Semitism fails in Europe, it will fail in the United States as well. Anti-Semitism is a crisis for liberal democracies. The members of the extreme left (anti-Zionists), the members of the extreme right, and some parts of the Muslim community have found common cause. They all hate Jews. This crisis starts with the Jews, but it doesn’t end there. The Centrist parties are not discussing the problems within the Muslim community due to political correctness. The Populist parties are filling the void by asking the right questions. They are addressing the issues of integration, Islamism, and how to make Islam compatible with democratic values. What can the Centrist parties do? Ms. Benzaquen suggested several solutions. First, they must speak out clearly. They need to call Islamist extremism what it is and identify the sources of the problems. The educational system offers an opportunity to impact young pupils and shape the future adults of France. During the past several years, students have refused to learn about the Holocaust in certain neighborhoods. Their teachers retreated because they were afraid of being attacked. France needs to invest the resources to train teachers in new methodologies so they can deal with these issues. Holocaust education is important for them because it illustrates how a society can behave and how individuals can choose to behave. It is an opportunity to teach tolerance, and to accept diversity. France does not recognize individual communities; everyone is French. In order to counter Islamic radicalization, the authorities must reach out to the Muslim community to spot signs of radicalization. It is only then that they can begin to contend with it. One of the most effective ways that the Islamic radicals influence and recruit young people is with social media. In France, speech is free, within limits. The French government can shut down social media sites due to incitement. The platforms used by these Islamists are based in the United States. Initially, the US-based companies did not feel that they were obligated to comply with French laws. The European Commission passed a law that requires social media companies to follow European laws in order to be available there. This has made it easier for the French authorities to shut down sites dedicated to Islamic radicalization. The signs in Europe point to a worrisome future in the United States. 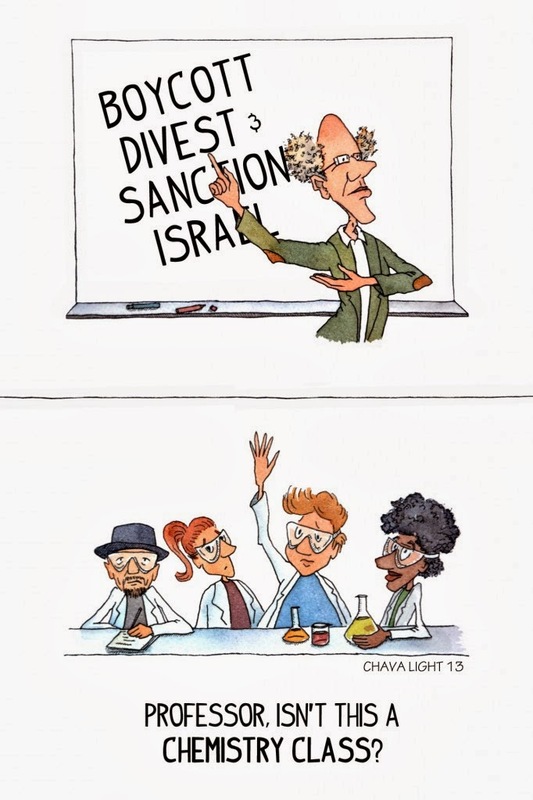 The Boycott, Sanctions, and Divestment (BDS) movement on university campuses and the expression of anti-Semitism online are creating a hostile environment for Jews. We live in a globalized world. There is no escaping anti-Semitism by moving from country to country. What kind of world do we want? In a report to the U.N. General Assembly, Falk alleged that such major businesses as Caterpillar, Hewlett Packard, Motorola and Volvo have violated international law through perceived complicity in Israeli policies of which he stridently disapproves. These include efforts to protect Israeli communities in Palestinian-claimed territories. Falk “calls on civil society to vigorously pursue initiatives to boycott, divest and sanction” those companies and added that “further investigations… may lead to additional attention” directed at other companies. Falk’s biased mandate at the United Nations, and his exploitation of it to malign and delegitimize Israel, remain a tragic but accurate reflection of the Human Rights Council’s record in the Middle East. The council, situated in Geneva, has provided for Falk’s continuing role at the world body. On 28 April, the fifth largest supermarket chain in Britain, the Co-operative Group, voted to stop trading with Israeli companies that source some of their products from Jewish settlements in the West Bank. It is the first British supermarket chain to do so. For those of us who oppose boycotts targetting the Jewish state, it is easy to dismiss this as irrelevant. After all, it’s not like the Co-op voted to ban all Israeli products. In fact the Co-op went out of their way to say precisely that. They’re not boycotting Israel, they said. They’re just boycotting “companies that profit from the occupation”. Despite that guarantee, the Co-op felt it had to go one step further. Apparently, it was not enough to guarantee that no produce from the Jewish settlements. They’ve gone one step further. Before dismissing the Co-op’s decision as being no big deal, it’s worth having a look at what supporters of Hamas and the Islamic Jihad in the UK are saying. The London-based Palestine Solidarity Campaign (PSC), which supports a “one-state solution” which would effectively destroy Israel, is ecstatic about the Co-op decision. “Fantastic news!” they declare on their website. “This important development … shows yet again the growing movement for solidarity with Palestine is having a concrete impact.” They are certain that other supermarkets will follow the Co-op lead. And they encourage all their supporters to now sign up as members of the Co-op to show their support for the boycott decision. In the eyes of the PSC, this is a massive win. They’ve managed to extend the boycott of settlement goods to include produce grown inside of Israel proper. And they’ve done this by tainting Israeli agricultural export companies as bodies which “profit from the occupation”. This new concept allows one to call for boycotts of all kinds of Israeli companies and institutions not directly linked to the settlements. In doing so, the boycotters are deliberately blurring the distinction between West Bank settlements and the rest of Israel. Theirs is a patient, one-step-at-a-time campaign aiming towards a complete boycott of the Jewish state. The Guardian, a newspaper notoriously hostile to Israel, once again made no attempt at objectivity in its coverage. Referring to the pro-Hamas PSC as “Palestinian human rights campaigners”, they noted that this was “the first time a supermarket anywhere in the west had taken such a position”. After quoting from several supporters of the boycott (but no one from the Jewish community in Britain), they concluded their account with a sneering reference to official Israeli policy. “Boycott campaigns against Israel are routinely denounced by Israeli officials as part of a drive to ‘delegitimise’ the Jewish state,” they wrote. Routinely denounced. Delegitimise — in quotes. They should not be alone in making this argument. They need allies in Britain, elsewhere in Europe and around the globe. One can oppose the policies of the Netanyahu-Mofaz government including opposing the building of Jewish settlements in the West Bank. But to go from there to supporting a boycott of Israeli companies that may have “profited from the occupation” is a step too far. The PSC’s strategy is absolutely clear and they’re not hiding it. They are taking this one step at a time. First, persuade groups like the Co-op to boycott settlement goods. Few on the Left would speak out against that. Second, ban goods from companies which source some of their products from the settlements. Again, very few voices would be heard against that either. The next step is to ban all Israeli products on the basis that the Israeli economy and society “profit from the occupation”. British Jews are feeling very worried about these developments. One might think that this sort of thing can’t happen in America. But it can. The same logic – first ban settlement goods, then ban goods from those who “profit from the occupation” may well resonate in the US as well. But if it can be shown that the concept of “those who profit from the occupation” is actually a code word for Israelis (or even Jews), we can turn this around. The pro-Hamas “Palestinian human rights campaigners” may have gone a step too far. This is a fight that we can win.